An list of over a dozen organisations that can help you in your quest for a healthier more sustainable lifestyle! 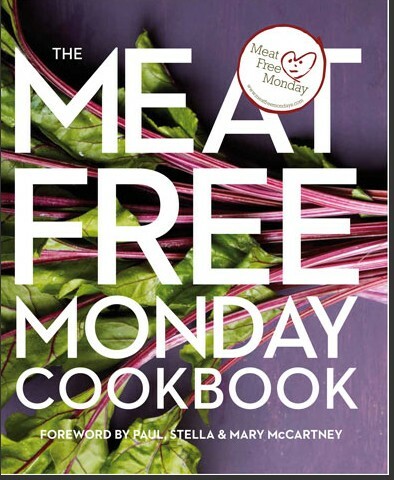 The vegetarian Cook Book published to raise money for the Meat Free Monday campaign features recipes not just from the McCartney family collections but also from the McCartney's celebrity friends too. Vegetarian and Vegan Meals Banned in France! EVU! - Vegetarianism / Veganism now made illegal in France! It seems the nightmare stereotype of Veganism in France treated as treason has become a gruesome reality with a new piece of legislation that makes meat eating law, forcing meals in French Schools, hospitals and old peoples homes to always include meat and animal products. 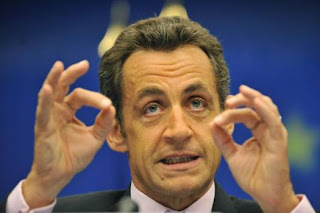 If you needed any more proof that President of the Republic of France, Nicolas Sarkozy, is not fit for purpose then here it is. At a time when for health and sustainability reasons it's even more important we adopt a plant based lifestyle the French President has made it effectively illegal to live as a vegetarian in France. It's thought to be a move to counteract Paul McCartney's Meat Free Monday initiative that had French Farmers up in arms. After a law voted last year by the French Parliament(1), similar decrees will be taken soon regarding all forms of catering from kindergarten to hospital, prisons and retirement homes. Vegetarianism will then have effectively been banned for a large part of the population. A French government order issued on October 2, 2011(2) has decreed that all meals served in school canteens in France must contain animal products, and that meat and fish will be served at a certain minimum frequency. This implies that by law from now on no vegetarian can eat at any public or private school in France. The public debate regarding animal rights and the moral status of animals is active in France as in many other countries. Citizens are entitled to choose freely where they stand on these issues, and those who believe that they cannot, in conscience, accept to eat animals must not be discriminated against. 1. "Law for the modernization of agriculture and fisheries", published on July 27, 2010. 2. Décret n° 2011-1227 du 30 septembre 2011; arrêté du 30 septembre 2011. 5.An example is the site mangerbouger.fr, where the only nutritional advice given to a teenager contemplating becoming a vegan is "By all means, do not follow that diet!" (www.mangerbouger.fr/pro/IMG/pdf/guide_adolescents-2.pdf, page 11). Hopefully now the public will take French Veggie Pride a little more seriously as it seems French vegetarians and vegans really are an oppressed and persecuted minority in France. So now is the time, only a month to go unti One World Day , choose a friend and introduce them to delicious, nutritious plant based food on the 1st of November - One World Day. Take some home made soup and carrot cake into work, organise with a local restaurant to have a special Plantarian menu and have a party or if you fancy your chef skills why not have a dinner party in your own home? The goal is to set as many new people on the first steps on the pathway to a healthier more sustainable lifestyle as possible. One World Day - One Day for Life!